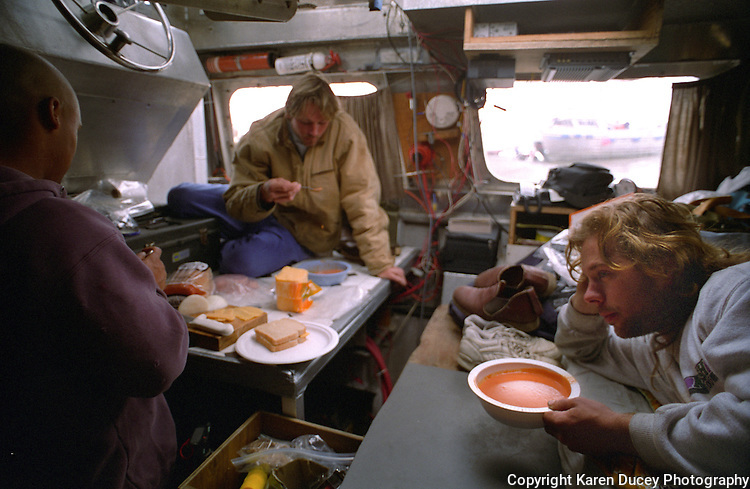 Eating a meal onboard the F/V Little Comfort. (L to R) Ken Larson, Mike Ailor and skipper Mike Hayes June 25, -July 17, 1995. Model released.